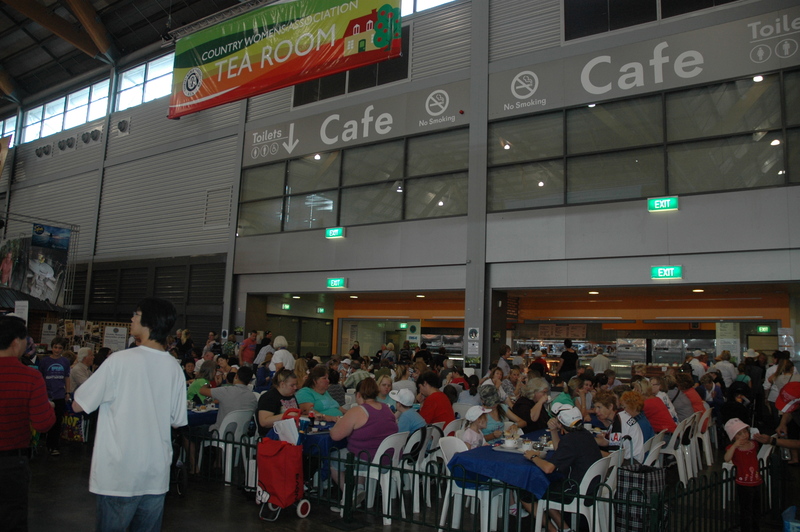 So now the countdown begins for one of our biggest fundraising events, the CWA Tea Room at the 2014 Royal Easter Show, which opens on 10April and continues until 23 April, 2014. The call has gone out to members and friends to either volunteer their time during the event or to send donations of jams, pickles and fruit cakes which will be on sale at the tea rooms and my advice here is, if you want any of these items get your skates on because hotcakes are like the tortoise to our hare when it comes to how quickly they sell!! Equally popular are the devonshire teas, evidenced by the almost 41,000 scones produced at last year’s event and customers often comment that their show ‘experience’ is not complete without a visit to our site. Not everyone partakes of the classic afternoon tea treat; some enjoy a savoury morsel, a cold drink, the weight of aching feet and a chance to chat to our ladies. The CWA’s ‘mantra’ of late has been that we are more than just tea and scones and once lured into the “lair” by the “bait” we take every opportunity to ensure the “quarry” leave unscathed, well fed and watered, but with a better understanding of just how heterogeneous (love my thesaurus!) our organisation is. This traditional city/country event affords us the opportunity to espouse the diversity of our membership; be it geographical, cultural, youthful and energetic or, older and wiser. It allows us to discuss the various community and state wide projects our members’ support, the total of which is almost $750,000.00 annually. Members also embrace the chance to explain how the organisation is evolving to continue to meet the needs of the women we support. None of this would be possible without the mammoth effort put in by the members of the Show Committee; 9 ladies who work extremely hard before, during and long after all the other volunteers have waved their goodbyes and taken their weary bodies’ home. The tea rooms would/could not operate without their energy, enthusiasm, organisational abilities and of course, cooking skills! They are “on deck” all day, every day for not only the two weeks that the show runs but before, setting up and after, returning everything to its rightful place. It’s definitely hard work, but the sense of achievement, the camaraderie, the response from and interaction with the public, are priceless. Sometimes we just assume they love it; they wouldn’t keep coming back if they didn’t, would they? I’m hoping to volunteer a day, early to beat the rest of you for the best jams and pickles, so make sure you say hello…….if they haven’t got me on washing up duty! More Than Tea and Scones – We Bake Cakes Too! 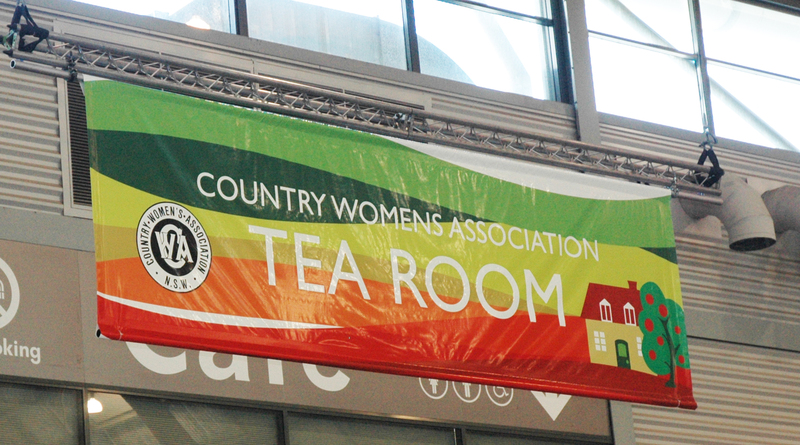 I am honoured to say, as a woman in her 70’s, that I am the daughter of a very active CWA member who worked for many causes and charities in the Far West, More than that though….I am a wife, a mother, a grandmother, an aunt, a sister, a friend AND I am a member of the CWA. I like to think I am a “today” woman, kept up to date by my children, grandchildren and the wonders of the internet. I joined the CWA of NSW in 2001 to meet new friends and join the handicraft group, hoping to improve my needlework and patchwork skills. We are very fortunate to have four CWA branches in the ACT, all offering different things. Prospective members can join a branch that best suits their interests. Younger members join a branch that appeals to them. More senior members wishing to join may be drawn to the knitting, crochet, embroidery, baking, other crafts and competitions. At Canberra Branch we are a city branch surrounded by office blocks, not very “country” at all! We have a membership of close to 150. The retention of these members is vital in keeping our CWA active. Through CWA I have made many wonderful friends at Branch, Group and State level. I have been given many opportunities that only CWA offers. The chance to improve my baking skills, to compete at Branch level, being eligible to enter Group competitions and having entries at State level have been rewarding experiences. I have also learned a lot through the positions I was encouraged to take on within CWA including President, Vice President, Secretary, Cultural Officer and best of all Cookery Officer. I often speak of the term “keepers”. I like to think I am a “keeper”. It is a term I use when I turn out a really great cake for competition. It is one really worth keeping. So are the hard working members I work with! We need more of these workers, those that join, attend meetings, help in the decision making of the Branch and have a desire to make our Association stronger. The retention of these members is important in nurturing the younger members we hope to welcome. 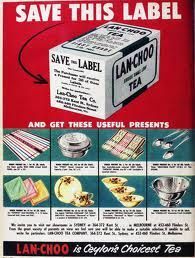 While CWA is not mostly about tea and scones, the many morning teas provide the perfect base to achieve greater things. For me, the CWA has created opportunities, encouraged new friendships and given me the chance to make a difference – now that’s quite a chance! Why not encourage your friends to join? 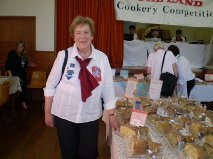 Fun fact – To help celebrate Canberra’s centenary, Barbara and two other CWA ladies baked 1,000 scones in one day – using only one oven.